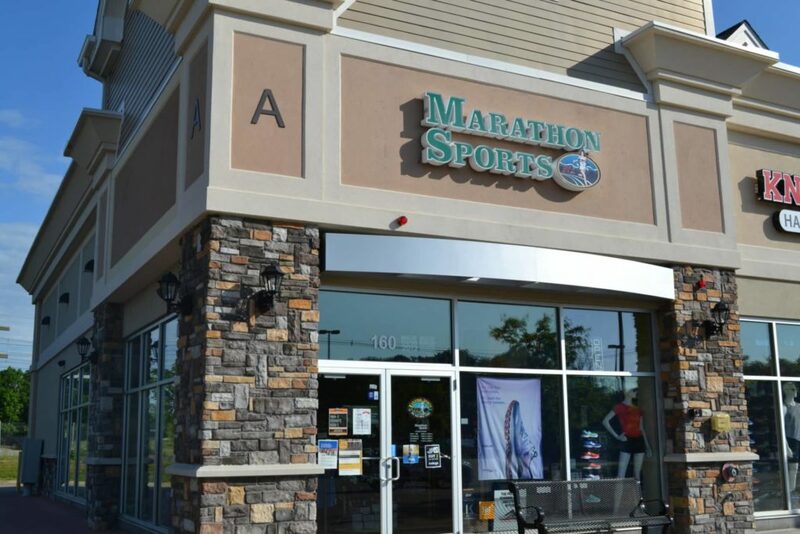 Marathon Sports is proud to announce our 7th and newest location will be opening in Mansfield, MA in Mid-June! We are very excited and looking forward to seeing many of your there. But will it be stocking Janji clothing? I hope not…polyester and made in China. No thanks. You have something against the concept of Run for Another ? Great event tonight put on my Colin, Byron, Tim, and the gang at MArathon. New store is awesome- perfect location, tons of HS memorabilia. Marathon does it right every time! Great event tonight put on by Colin, Byron, Tim, and the gang at Marathon. New store is awesome- perfect location, tons of HS memorabilia. Marathon does it right every time! Thank you to all of the coaches who joined us at last nights event! Our staff had a great time and hope you did as well. New Balance Meet - Where? Who’s in it? My guess is Martinez Classic in Concord, MA. Not sure who else is in it, but it’s sponsored by New Balance. He said it was a New Balance meet. That’s my bet…if he does it.